Mike Biedenbender - Men Alive! Pastor Michael Biedenbender was born in 1959 in the city Mobridge, South Dakato to Pastor Kermit and Carol Biedenbender. He attended St. Matthew’s Lutheran School in Benton Harbor, Michigan where his father served as Pastor. He received his high school education at Michigan Lutheran High School in Stevensville, Michigan and upon graduation enrolled at Northwestern College in Watertown, Wisconsin as pre-training for the Pastoral Ministry in the WELS. He received his theological training at Wisconsin Lutheran Seminary in Mequon, Wisconsin and graduated in 1985. Pastor Biedenbender married Rachel Freier in 1982 and has been blessed by God with three children, all of whom are married as well as 8 grand children. His oldest son David, his wife Angela and two children, Izaac and Declan, live in Lansing Michigan where he is a professor of music composition at MSU. His daughter Ashley, her husband Peter O’Neil and their four children, Emma, Jackson, Lily and Huxley live in Alma, Michigan. Ashley is a professor as CMU and Pete is a Music teacher at Ithaca High School in Ithaca, Michigan. His youngest son Andrew, his wife Mallory and their two children, Brady and McKenna reside in Mount Pleasant, Michigan. Andrew teaches at the Junior High School and is the assistant football coach at Mount Pleasant, Michigan. Pastor Biedenbender was assigned to Tuscon, Arizona in 1985 and given the task of planting a church in the Southwest corner of the city. With the Lord’s blessing, Peace Lutheran Church was established and in 1989, Pastor Biedenbender accepted the call to Faith Lutheran Church in Mount Pleasant, Michigan where he has served up to this day. 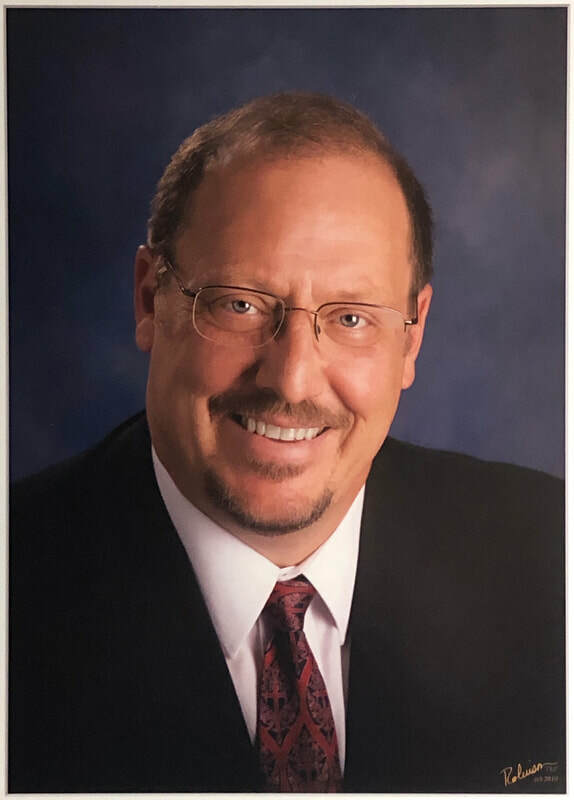 While there, Pastor Biedenbender took on the added task as pastor of Redeemer Lutheran Church in Big Rapids, Michigan (18 years) and was instrumental in establishing Crown of Life Lutheran Church in Cadillac, Michigan. Pastor Biedenbender has hosted and been a guest speaker at numerous marriage seminars, mission seminars and men’s seminars. Pastor Biedenbender’s passions outside of the ministry focus on carpentry, football, fishing, and hunting. Pastor Biedenbender has coached football at MPHS for nine years, designed and built two church structures as well as his own home. He is an avid Packer fan, U of M football fan and his favorite artist is Neil Diamond.